Well, I think I out-did myself this time. I seem to be taking on ever-increasingly complex sets that get bigger as I get more experience. As you can see, a kitchen is probably one of the most complex sets you can make for The Sims 4. Totalling just over 51 unique meshes in 38 package files, this by far outstrips Atwood Living for my biggest set to date. I will probably hold that title for some time to come. I has been a labour of love, and I hope that dedication shows in the final product. I am usually at a point when i finish these projects that I never want to see my content again. However, that is not the case with this kitchen. I still love using it, despite the amount of agony it has caused me. So I hope you all enjoy it at least as much as me (which is a lot). 21/01/2017: With the toddler patch breaking a few things, I have taken the opportunity and gone through and updated my sets to fix issues and generally improve on some things. 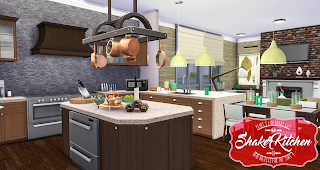 Here, I have updated all counter with new tags and toddler interaction, as well as remove the buff from the sink when I used a career reward. 17/07/2016: Just a small update while I am doing everything else. 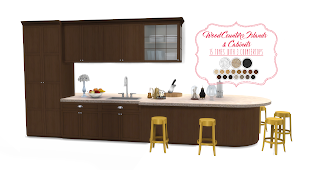 There was a texture issue with the kitchen cabinets which has been resolved. Please redownload. Individual items can be downloaded at the link at the bottom. 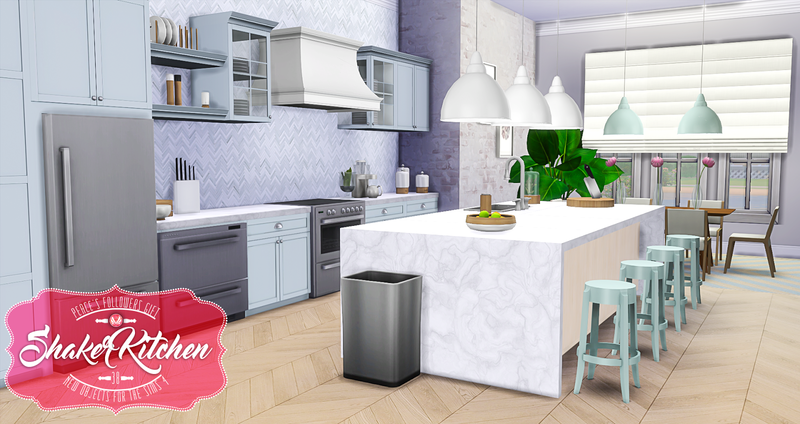 07/02/2016: There was an issue with the dirty state of the light blue island with butcherblock top where the countertop texture was not correctly linked and displayed as the missing texture. I have since fixed this and reuploaded the files. Please redownload. Thank you to Kanata2288 for bringing the issue to my attention. **This content is considered high poly so use in moderation, or if you don't think your computer can handle it, best to take these items out. 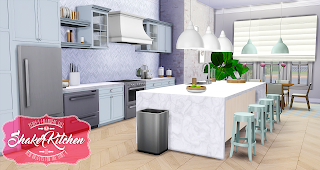 All custom content, apart from the floor in kitchen 2 (find here) is all mine, so feel free to browse through my downloads to find it. Now, there are 4 download links. 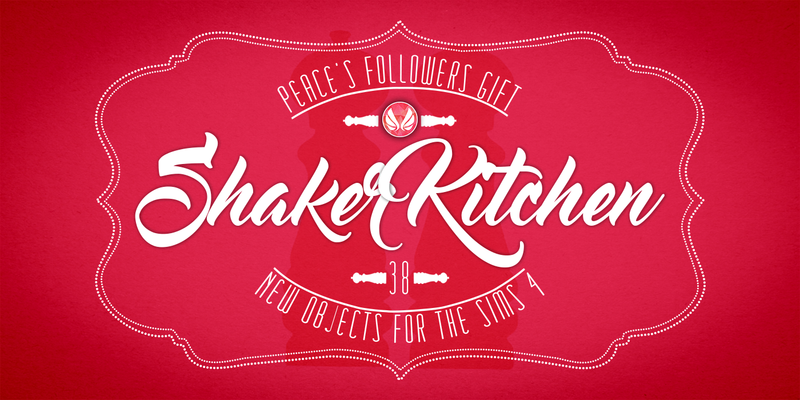 One for a merged package, separated items, roman blinds, and no occluder appliances. To install, extract the archive using WINZip/WinRAR/7Zip/Unarchiver and place the folder or package files in your mods folder, then look for them in your game. If you are having issues check out my Installing Content help page. THIS IS GORGEOUS. 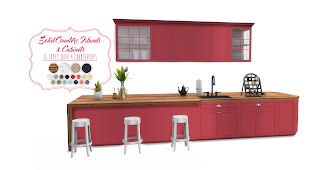 I've been waiting for a shaker style kitchen for the Sims 4 forever. So glad you made this THANK YOU! You are seriously the best content creator for this game. I appreciate your work so much; half my houses are your sets. Thank you for another stunning set. You are so appreciated!!! Thank you, so much!!!! It's very beautiful, I love it!! 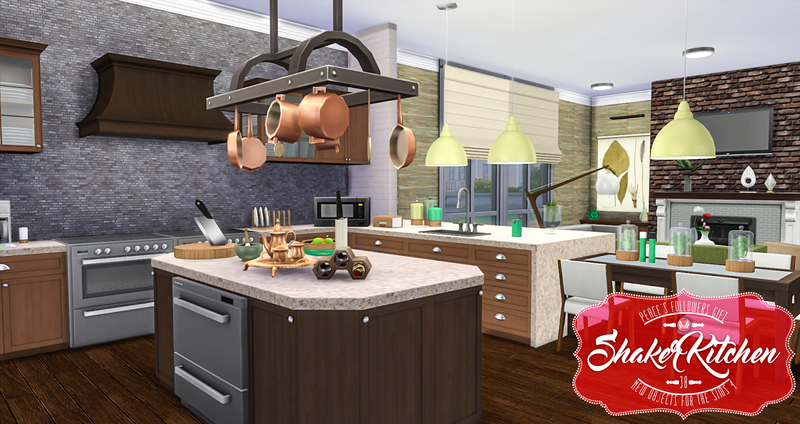 That is an awesome kitchen you made, thanks for sharing! You post the most beautiful things... 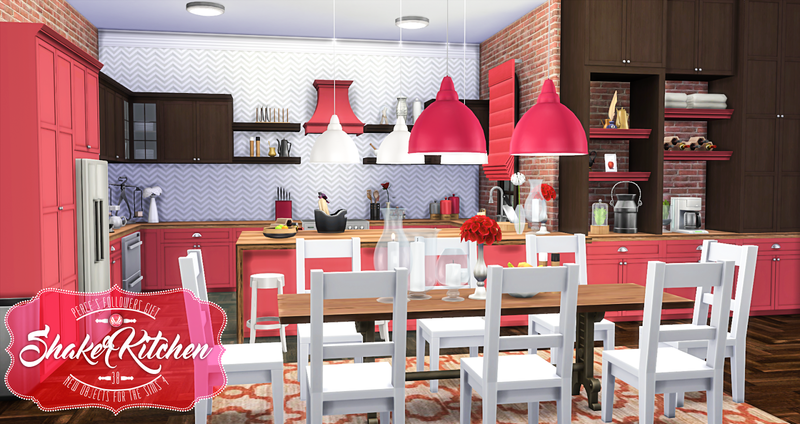 I absolutely LOVE this kitchen set. From the counters to the little decorations...everything is just perfect. GOOD WORK! I am really amazed, once again! This is so awesome! Thank you so much! Bravo Peacemaker. 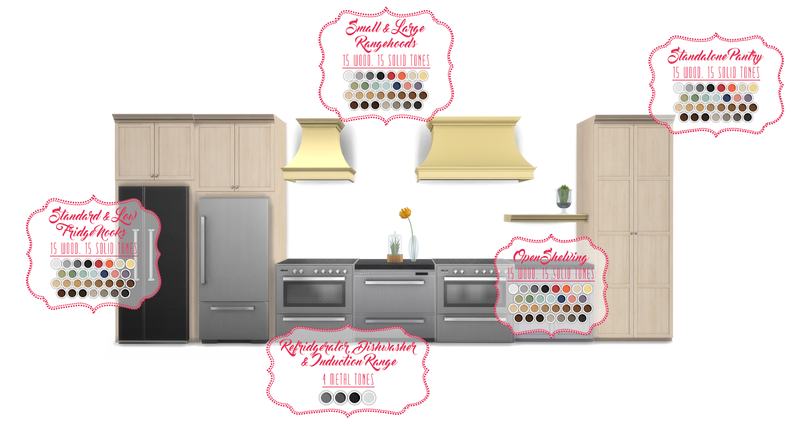 You have outdone yourself with this wonderful kitchen and accessories. Thank you so much for your wonderful designs. AMAZING set, god the work involved. BIG thanks for the share. Hello! 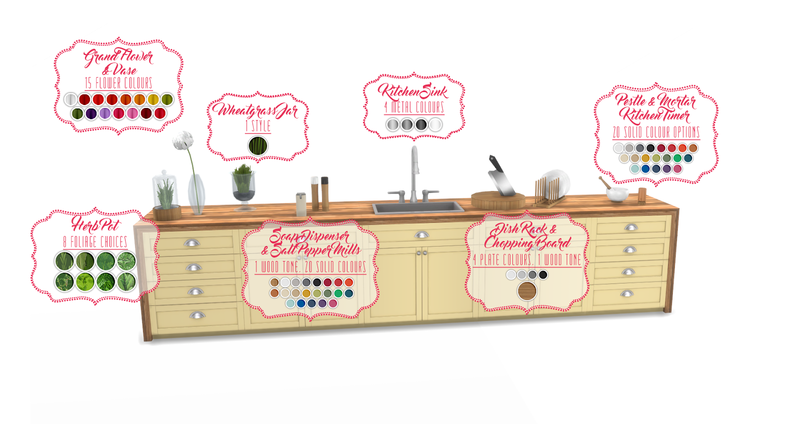 WoohooJuiceSimoleons, I'm under anonymous 'cause I don't wanna show my real name :/ But anyway, this kitchen is a MUST HAVE! Thank you so much for sharing! Are these actually working ingame? programs like mod detector are not perfect and are more a guide. The kitchen shows as a conflict for me but work perfectly. They are probably registering as conflicts because the bars are a clone of each other but have unique ID's so they show up separately. Same with the islands. Ok, i did a little investigating with the mod detector, and they are only conflicting because of a single resource: the dirty state image. 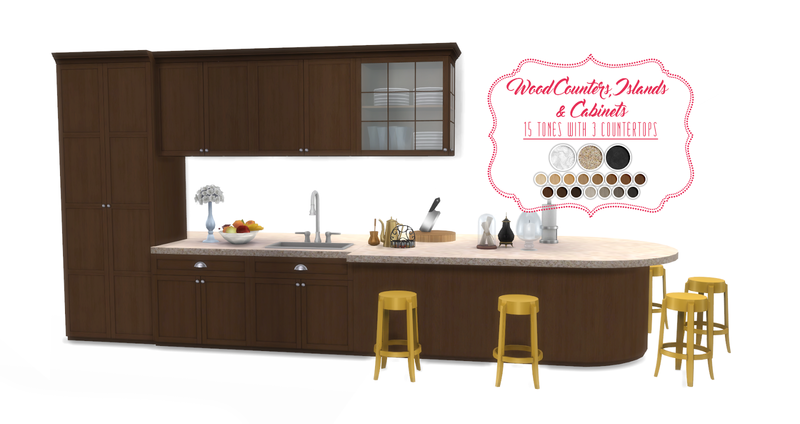 All the counters have a dirty state and textures for it. The ID's for these are the same between the items seen as conflicting, so it is just a duplicated resource, which i did incase someone wanted just one type of counter. this should not affect your game at all. Just wanted to say - THANK YOU for everything you do, I am just so impressed and blown away by your stuff, WOW! 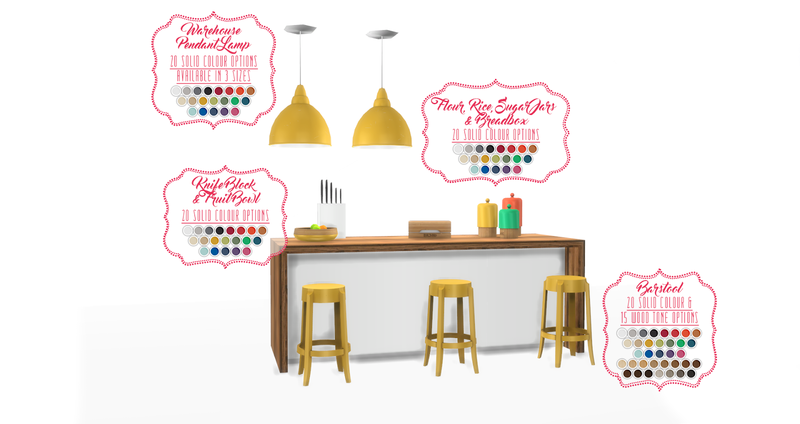 I just came back to simming with Get Together and you are always one of my first stops ;) The quality and finish on everything you do (and your lovely website with easy downloading!) makes you head and shoulders above so many!! Keep it up - so appreciated! my guess is either your game isn't updated fully, or perhaps your mods folder is not correctly set up. I assume you extracted the archive? Try deleting your resource.cfg file and let another respawn once you have opened your game. early versions only allowed 1 teir of folders to look through and if you had more, the content would not be seen by the game. If this doesn't work, try searching google with the specific issue you are experiencing. diagonal walls are not that user-friendly. if you place a counter first, other counters should snap to eachother, but everything else wont. Since the diagonal walls are longer then a standard one, it would require unique meshes, and the game doesn't have those. So it is unfortunately a function of the game which cc needs to abide by. Another thank you for your so very well content made and timely updates. It is obviously a labor of love! This is beautiful. You did a good job as always! Thank you!!! Thank you so much for the Shaker Kitchen update! I use it more than any other kitchen set and I've been eagerly awaiting its fix. Also, I am impressed that you seem to be one of the only creators to publicly analyze and address the counter problem since the big C&D patch. Now that you have pinpointed the specifics, I hope that the people over at S4S can create a batch fix for the issue. This is my favorite kitchen ever...I use it all the time. I played last night and the latest patch from yesterday seems to have ruined it again... This must be beyond frustrating for you. I so appreciate your talent and efforts. if you check the update notes above, it has already been fixed for that patch. Amazing work as Always, love your stuff! Cant wait for some pátio furniture !!! Thank you so much for the updates. 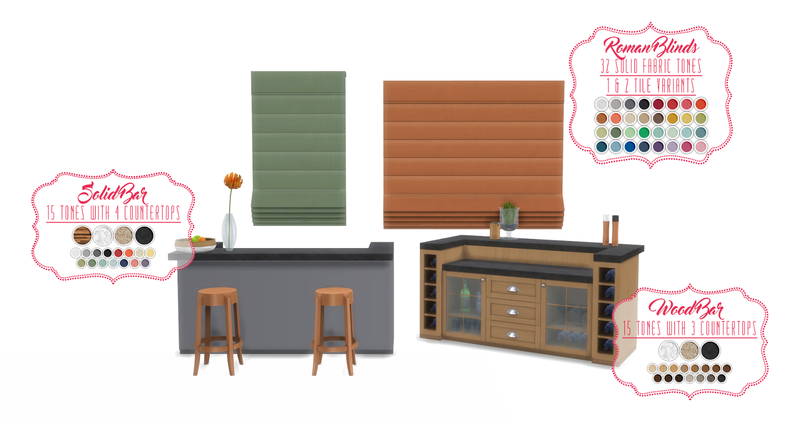 I had to delete the merged file from my CC when it stopped working and Im missing all the shaker kitchen items terribly. I definitely know the downloads work because of the help I have given many after the patch that messed them up. So it has to be something on your end. Could you tell me specifically which items are throwing the error? Is it is counter, the island, or both? That will help me determine which issue you have. Please make sure your game is both updated and you have removed the old files from your game. Firstly, try repairing your game through origin. If that doesn't work, try downloading Sims 4 Studio. They have a batch fix and its the only other thing I can think of to help you. You do need to create and account to download it, but I assure you, it is well worth it. There are help thread of how to run the batch fixes but its quite simple and should hopefully solve your issue. If you haven't redownloaded the set recently, I advise you to do so. I fixed that error in December. Are all your cc maxis match? And this? miles de gracias desde España.un saludo. I absolutely love this kitchen. It is showing as having a conflict with the Mc Command mod even after the December update. I dont use MC Command Centre and never will, so I am unaware of this since you are the first to tell me. However I have no clue what issue they are talking about since I don't use it. You are an amazing artist! Thank you for sharing your creativity with us who cannot realize their creativity. This is a common bug with non-cc kitchens too so I can't pinpoint an issue causing it other then something in the game. 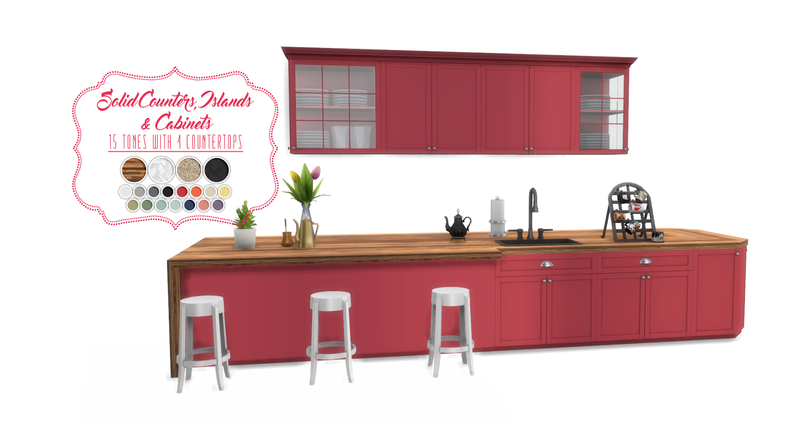 Your shaker kitchen counters don't work for me, just keeps saying "no available counter space" I've tried testingcheats/bb.moveobjects both on and off, I also reset them and nothing. Maybe another update for them? since the seasons and Caribbean patch are out. Oh I thought it was just cc because I've never had that problem with the games counters. I had no items stuck on the stove or anything I had just finished building the lot for a family so nothing was used yet. But I'll try repairing my game and clearing cache folders & let you know so others can know as well if they have this problem. thanks. hi i cannot cook in this kitchen? can you solve it for me? You are going to have to be a bit more specific. Try redownloading to see if that helps, otherwise take out your mods and test. The issue is often not the kitchen itself but something else.